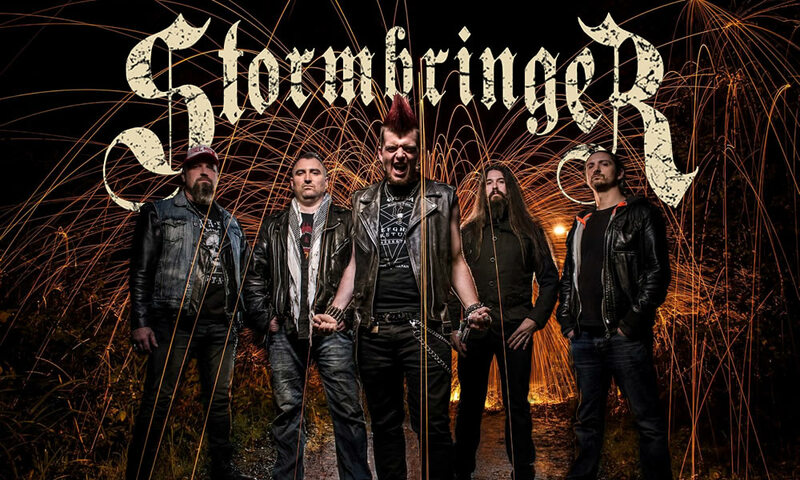 Northampton rockers STORMBRINGER first came together in the summer of 2011 after several beers and a meeting of members from Deadeye, Nekkrosis and Viking Skull. The four members very quickly had a full albums worth of material and inspiration was at a high, then they brought onboard Mike Stockley in the winter of 2012 and he laid down the vocals for their debut album ‘MMXIII. Mike was exactly what the band were looking for, a classic rock voice with a contemporary edge and a lyrical ability that was perfect for the sound the band had created. After successful years of gigging, including shows at Download Festival and the main stage at Bloodstock Open Air Festival, Mike sadly had other commitments and had to part ways with the band. After auditioning relentlessly they found Jimi Brown - formerly of Burn City Burn, and it was clear, even after the first audition, that this was the guy for the job. Jimi has proved himself as both a natural talent, a stand-out stage performer, and a stunning recording artist which was made evident with his performance on Stormbringer’s second release ‘Blood and Rust’, due out in October 2015. The band live by their mission statement “to rock as hard as we can, wherever we can and have a good time doing it”. A must-see live show, which takes no prisoners and will absolutely not disappoint! STORMBRINGER are gearing up for the release of their fabulous second album 'Blood And Rust' in October and have just released their video for the first single from it, the storming 'Bad Blood'. This album kicks out a monster slice of rock and metal, chunky riffs galore with a head shaking, foot stomping groove at its heart and a twinkle in the eye! If you've never heard STORMBRINGER before, you're in for a rock n roll treat, stick it on, turn it up and play LOUD!! Website sponsored and designed by AOM Web Services Ltd.